After rolling out some smartphone deals for Black Friday, T-Mobile is now switching things up with a tablet deal for Cyber Monday. Today, November 27th, T-Mobile is offering a free 32GB iPad. 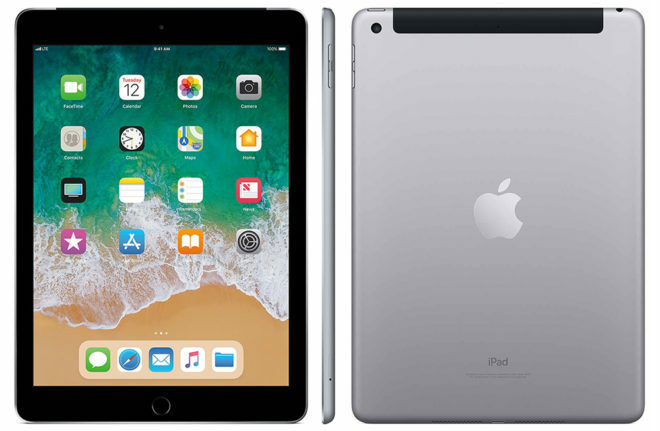 You’ll need to port in your number from another carrier onto a T-Mobile One voice line and add a T-Mobile One Mobile Internet line to get this deal, as well as purchase the iPad on EIP. Once you meet all of the requirements, T-Mobile will send you a $460 prepaid MasterCard card to cover the cost of the 32GB iPad. T-Mo says that this deal will only be available today and that you can get it online and through telesales. It’s also worth mentioning that T-Mobile is still offering its Buy One, Get One deal on flagship smartphones. The iPhone BOGO deal will only be available through the end of today, but the deals on LG and Samsung flagships will continue after today. But existing customers CAN participate in these promos. That’s why a lot of people are tired of the whining. Existing customers usually do not want to change there plan or add lines because their rates will go up. In actuality, T-Mobile is offering more FREEBIES than it did previously but customers have become spoiled and no longer want a free pizza, Netflix, features or free low end devices, they want steep plan discounts and free iPad’s. Imagine how fast T-Mobile would go under if they gave all customers a free iPhone and iPad. Sorry, it’s not going to happen and I think as customers, we’ve expected T-Mobile to keep outdoing itself with promos and freebies. T-Mobile did nothing for existing customers. Everything is add a line! Accessories that no one needs and can be found as a better and cheaper alternative elsewhere. Nothing for loyal customers looking to upgrade. always pre paid crap they offer ! have not see a good deal in LONG LONG TIME. T-Mobile Tuesday’s? Free stuff every Tuesday… Really? That alone should be a THANK YOU. How about Netflix On Us? I think T-Mobile customers have become spoiled. The minute T-Mobile offers something that targets new customers or existing customers willing to switch from their grandfathered plans or add additional lines – those who choose not to take advantage complain! When’s the last time T-Mobile even gave away free iPads? They haven’t… People ACT as if this is something they use to do. Where do we draw the line? When do we as consumers, accept that businesses do not survive if they are not increasing profits/margins?